The presented by Bettany Hughes chronicles the rise and fall of one of the most extreme civilizations the world has ever seen, one founded on discipline, sacrifice and frugality where the onus was on the collective and the goal was to create the perfect state and the perfect warrior. Hughes reveals the secrets and complexities of everyday Spartan life. There was bitter rivalry between Sparta and Athens, two cities with totally opposed views of the “good life”. By setting out to create a perfect society protected by perfect warriors, Sparta made an enemy of change. A collapsing birth rate, too few warriors, rebellious slaves and outdated attitudes to weaponry and warfare combined to sow the seeds of Sparta’s destruction. Episode 1 – Th the arrival of the Dorian settlers into the Eurotas valley, and the dark age culture of Menelaus and his wife Helen of Troy. Once established, the Spartans expand westward, enslaving the entire population and becoming the dominant power in Laconia. Lycurgus transforms the Spartan constitution into a militarized state. The training of Spartan youths is explained, from their enrollment in the Agoge system right through to their attainment of citizenship. The class structure of the Lacedaemonian state (Helots, Perioeci, and the soldier-citizens themselves) is also covered. 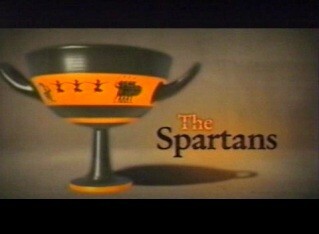 The episode ends with the battle of Thermopylae. The presented by Bettany Hughes chronicles the rise and fall of one of the most extreme civilizations the world has ever seen, one founded on discipline, sacrifice and frugality where the onus was on the collective and the goal was to create the perfect state and the perfect warrior. Hughes reveals the secrets and complexities of everyday Spartan life. There was bitter rivalry between Sparta and Athens, two cities with totally opposed views of the “good life”. By setting out to create a perfect society protected by perfect warriors, Sparta made an enemy of change. A collapsing birth rate, too few warriors, rebellious slaves and outdated attitudes to weaponry and warfare combined to sow the seeds of Sparta’s destruction. Episode 3 Alcibiades, an Athenian statesman defects to Sparta and becomes an adviser and strategist. He suggests that Sparta takes the war to Syracuse, in Sicily, and Athens suffers a major blow. The Spartan Lysander begins to rise in power, and eventually defeats the Athenian navy, blockades it, and finally ends the war by invading and subjugating Athens. Sparta becomes the dominant power in Greece but decadence and corruption follow then a drastic reduction in the number of Spartan citizens. These events lead to an irreversible decline in Sparta’s fortunes and war with Thebes and in 371 B.C., the end of Spartan pre-eminence after the battle of Leuctra.